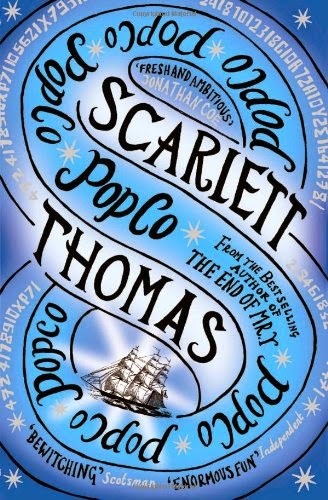 One of my all time, top 5, favourite authors is Scarlett Thomas. You may not have heard of her, or you may be rolling your eyes at this assumption (she is that kind of author - loved or unheard of), but really most people I mention her to are completely nonplussed. Thomas is however not a niche or unknown author, and has released a fair number of amazing (or at least original and interesting) books, particularly considering how few non-obsessive binge readers (laymen/noobs/normos) have actually heard of her. We, as a reader collective, don't really know much about Thomas due to her unfair lack of fame as an author, and, as with actors, I think this is for the best. What we do know is that she teachers Creative Writing at the University of Kent, was releasing a good book a year and now releases a fantastic book once every 3-5 years, and prizes authenticity and originality as an author - what else would I need to know? As with my Haruki Murakami author spotlight, I will wax lyrical/rant and rave about the author's books in chronological order, in the hope that someone will love them as much as me. A joint entry - the Lily Pascale Mysteries, consisting of 'Dead Clever', 'In Your Face' and 'Seaside' - These three are very different from the later books, and are rarely included in her bibliography on most websites, or in the front of the other books. I get the impression that Thomas is not hugely proud of the series, maybe because they are relatively generic genre fiction, or because they are a little pretentious in hindsight. It is true that these books aren't in the same league as her other works, and do read slightly like a teenage diary/first student attempt at writing, but I say embrace the naffness. The pretentiousness and generic nature of the books does not come from the writing (I have read the series three times), which is strong and inviting even in these early books, but rather from the character of Lily Pascale and her life. Details like her being half French, having odd eyes, being 'curvy', not caring what people think but making women jealous none the less, getting a great job accidentally, always getting the man in some capacity (all capacities) - these character details are weak, two dimensional and trivial, and are what happen in our heads when we are 19 years old and imagining being adults. I did sort of want to be Lily as I read the books, and I hated myself for it. Again, I hasten to add, I have voluntarily read the series three times, and will read them again. The writing is very strong and the murder mystery element (I am a sucker for detective fiction) is as interesting and unpredictable as you would expect from a decent bit of genre fiction. The protagonist may be no Marple or Poirot, but I would still rate these above most generic detective fiction. The next 'Phase' will also be lumped together - 'Bright Young Things' and 'Going Out' - These two are the student phase books for me. They both have a 1990's feel to them, as do the Lily Pascale Mysteries, that pleases me, and are somehow simultaneously cool and uncool at the same time. Uncool - Having the ideal, bohemian, understanding, equally messed up friends on hand at all times. You get the idea. This is very much a compliment for the most part, books/films full of pop culture will invariably age quickly, but I like the time capsule feel of both books. I imagine (is this patronising?) that they may not read all that well for people born after 1990. Whilst still a little pretentious, it works, its less generic that her earlier books, because if you cant be pretentious when your are 18-22 years old, when can you be? I was a knob head when I was a student and I am NOT ASHAMED. 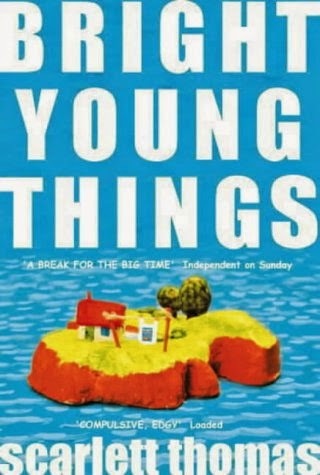 'Bright Young Things' (graduates waking up on a desert island after being drugged at a job interview) and 'Going Out' (a young man allergic to sunlight going on a road strip with his friends to find a cure at a budget hotel) are also very original, despite not sounding like it on paper, or at least they were when they were written. Not all books based on cool, original stories make a good novel, but these do. The books are unpredictable and, as with the Lily Pascale series, despite hating some of the characters, I want to be them or know them, and I think this is down to the writing. These books are not perfect, but they have something special about them. 'PopCo' retains a lot of the feel of the earlier books, and you can certainly hear the same authors voice as you read, but now we are on a different level. 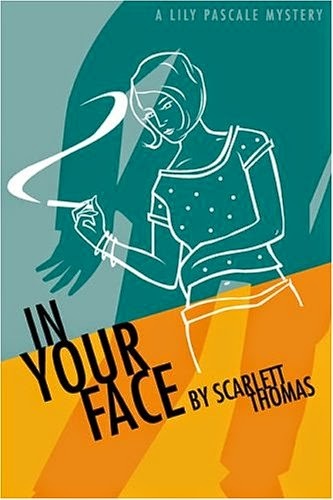 I adore this novel, and every other Scarlett Thomas novel that follows it. We get all of the original cool ideas but the book is written with more flair and authenticity, her books are now literature rather than just fiction (there is a big difference, I might write a rant post on the matter soon). PopCo follows the female protagonist (now an older protagonist to mirror the authors life - this may be one of the facts that adds to the authenticity of all of Thomas' books) as she embarks on a company retreat in Devon, where she is sent cryptic messages about a secret organisation, and begins to learn about the way her toy company really works. There are much more intricacies to this story in comparison to Thomas' earlier work, as the narrative flicks between the present day, the protagonists childhood, and long distant tales of pirates and buried treasure - it all comes together if you give the book a chance, it is completely worth your while. I also learnt a lot of random lovely facts from this book, I read in an interview that Thomas was interested in writing about knowledge in general, and wanted to learn everything about everything. This book has large breaks in plot to discuss such interesting tidbits as; Alan Turning (before he was cool - obvs), code-breaking, puzzles, riddles, sailing and veganism. What can I say, somehow it works? And so, we see Thomas getting better and better. 'The End of Mr. Y' follows another female protagonist (a little older again) as she struggles with money, her thesis, and leading a life with a little more meaning than a clean flat full of Ikea (for example). I was obsessed with this book before the first chapter ended, as the protagonist finds an extremely rare, possible cursed, old book, and spends her last bit of cash on it, in order to see if the curse is real (amazingly none of this seems like a contrived plot device when you read it). As with 'PopCo' we have the intricate layering of narrative across time (and in this case, space! ), interwoven with breaks in plot to delve into interesting, related side notes, with the story about the daguerreotype house being particularly lush. Also, not many books can pull of a character called Apollo Smintheus, a giant mouse God who helps the protagonist in times of strife - the book is so authentic (I overuse this word - it is my number 1 adjective in describing Scarlett Thomas, with good reason) that the reader can take the leap into such oddness with ease and accept it as fact. 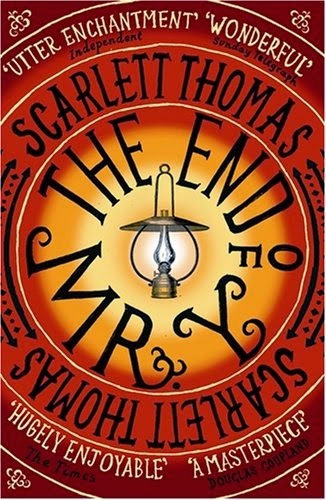 'The End of Mr. Y' is probably her best know book, the first of hers I read, and remains my favourite - its one of a kind for me, despite having similarities to her other work. If you only read one, read this. 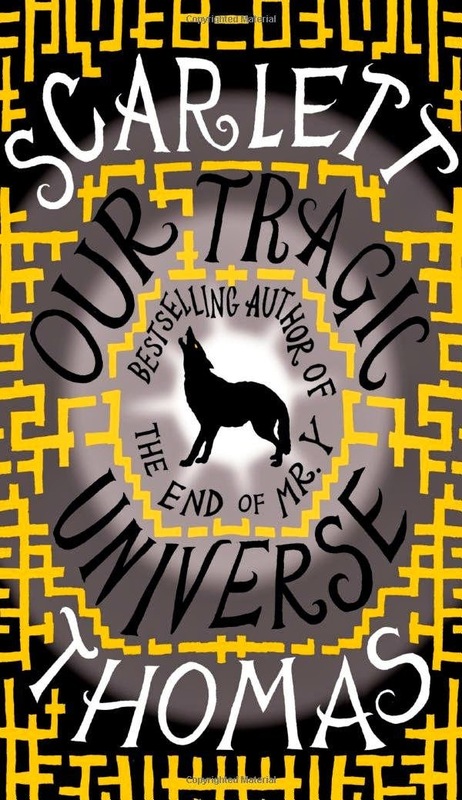 'Our Tragic Universe' is the first of her books I had to wait for and, although she is no George R. R. Martin, it was not a short wait. This book is Thomas' worst reviewed and most misunderstood book, and so possibly not recommended as the first foray into her work. However, and I hate to be snob, it very clearly is her best book and, to be honest (snob alert) I would rather people that have no real understanding of literature just didn't bother, they don't deserve to read it. The aim of the book is to be about nothing and everything, to be an authentic (sorry! ), genre-less piece of literature, about literature itself. The is the first really stand alone piece of literature by Thomas, and so may be a bit jarring after reading the more plot driven, cool idea laden, previous novels. This book, again, follows a (nearly) middle aged female protagonist as he she struggles to live an authentic (sound familiar) life as an author, in a crappy house with her vile boyfriend. For most of the book not much actual STUFF happens other than seeing and feeling the internal struggle of the protagonist, although we do get a really odd, intriguing side story about a fellow author researching a wild beast roaming Dartmoor - and yet the book is somehow as compulsive for me as all of her other works. Even without the odd side stories, the book is never ever predictable and always interesting, for instance we still get snippets of the breaks in "plot" to learn about such gems as the Cottingly Fairies, Anna Karenina and sailing boats. The point is, there is no point! A story does not need a beginning, a middle and an end to function, and this novel illustrates and discusses that in a beautiful way. A storyless story, like real life. It is near perfect for me, and allowed a sense of self-reflection within the story, but without being obvious or philosophical. This books doesn't really count because it is non-fiction, however I obsessively read it as if it were, so it should get an honourable mention. 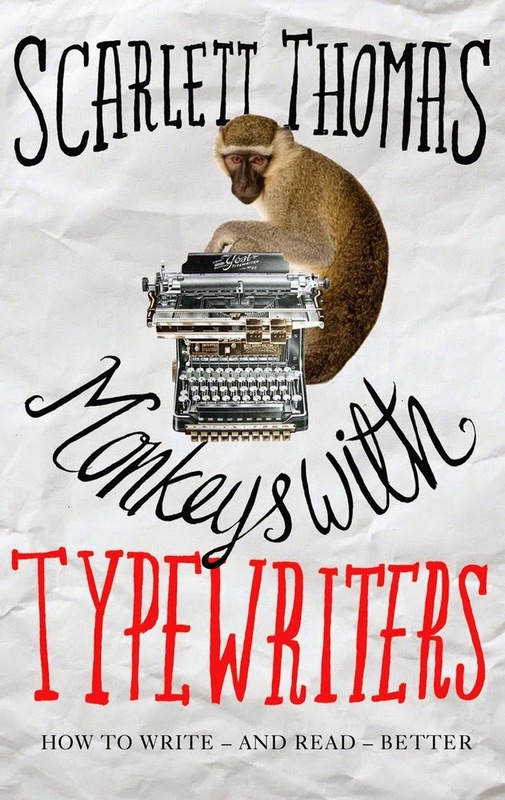 The title is based on the infinite monkey theorem, which states that an infinite number of monkeys randomly hitting keys on an infinite number of typewriters will eventually churn out the works of Shakespeare, based on the laws of probability. I have already mentioned that Thomas teaches creative writing at Kent University, and this book is basically a culmination of her teaching and ideas on how to write (and read) better. I genuinely loved reading it, I read it in a couple of days as I would piece of fiction, and found it riveting. I found myself wanting to write (but not deluding myself that I ever really will - I actually quite dislike being creative - escapism is more my thing) but more importantly wanting to read more, and finding a greater appreciation for what makes my favourite books so great, and what exactly is lacking in some of the books I feel have missed the mark. I have actually flicked back through a number of time to re-read quotes from other authors that Thomas has highlighted and discussed. This book really is a testament to her skill as a writer. Also testament to the quality of her writing is this lovely article Scarlett wrote for The Guardian about her love of tennis (the comments at the bottom of the article apparently concur). This article also gives us a nice hint about a new book she is writing, apparently called '41-0', about her year of tennis. This sounds like another non-fiction, but if the article is anything to go by I will adore it. I also know that her latest fiction novel 'The Seed Collectors' has been in the pipeline for an age, and is rumoured for release mid-2015, although nothing can be seen on Amazon about it as yet. How did this blog post get so long!